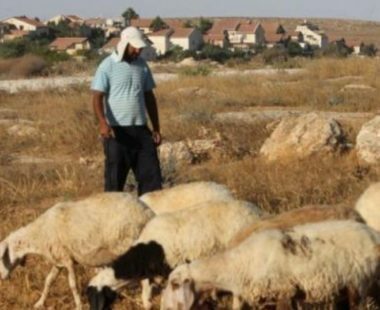 A group of illegal Israeli colonialist settlers attacked, Thursday, many Palestinian shepherds in grazing lands in the al-Farisiyya area, in the Northern Plains of the occupied West Bank. Palestinian Human Rights activist Aref Daraghma, said the colonists chased the shepherds, and hurled stones at them and the flocks. He added that the Israeli assailants came from the illegal Rotem colony, which was built on Palestinian lands. The attack is part of numerous similar violations and assaults by the illegal colonists against the Palestinians, their homes and property in several parts of the occupied West Bank, especially in the Northern Plains. They are frequently carried out in front of Israeli soldiers, who do not attempt to stop the colonists, and instead resort to the excessive use of force against the Palestinians.